Many misperceive eating disorders as a lifestyle choice. You might even believe some of these stereotypes yourself—that you’re vain, self-absorbed, weak or lazy because of the way you think about food. This simply isn’t true. We all have an emotional reaction to eating food, specific dishes that can elicit feelings or memories. We describe certain cuisines as “comfort food”. For some people, food can turn into a “drug” of choice—one they turn to cope with depression, anxiety, or a desire to escape. But the belief that people who suffer from these conditions chose to live this way is dangerous and misguided. In reality, research continues to show that conditions like anorexia and bulimia are serious mental health conditions that require professional care from experienced counselors. No matter where you’re at in the recovery journey, it’s important to recognize that your emotional response to eating and your experience with food will be entirely different from anyone else’s. No two stories will ever be completely identical. Eating disorders aren’t a choice; they’re a mental illness often linked with biological disorders outside of your control. You might have obsessive thoughts about food or reach for a certain type of meal when you’re feeling sad or unsure of something. For some, unhealthy eating behaviors are focused more on weight and body image than the feelings associated with eating. People most often seek treatment for three types of eating disorders: bulimia, anorexia and binge-eating disorder. If you suffer from bulimia, you likely experience recurrent, uncontrollable episodes wherein you eat large amounts of food without being able to stop. As a response to those feelings, you might react by trying to “purge” your body of the food. Whether by vomiting, laxatives, obsessive exercise or fasting, these reactions can be extremely harmful or even deadly. Control is often central to anorexia; you might be withholding food from yourself, or only eating in very small portions. Intense feelings of self-consciousness or poor body image could be convincing you that you shouldn’t be eating. Anorexia has one of highest mortality rates among mental illnesses. By withholding nutrients from your body, your bones and muscles may start to break down, leading to multiorgan failure. That’s why sufferers of this disorder need the highest quality treatment and care possible. Everyone has a different trigger, but if something inside you forces you to eat uncontrollably without stopping, you may be experiencing a binge-eating disorder. Hallmark signs of binge-eating disorder include eating alone due to feeling embarrassed by the amount of food you’re eating, and feeling disgusted with yourself or very guilty after a binge-eating episode. Unlike bulimia, you do not counter the binge with purging. Dieticians play a crucial role in assessing your nutritional deficiencies and getting your eating regimen back on track. Mapping out a successful treatment plan starts with getting to know you, unpacking the feelings you experience around food and creating healthy habits in place of your current eating regimen. While there’s no single correct approach to eating disorder treatment, full recovery is possible and within reach. Because there are so many different ways to treat eating disorders and the co-occurring mental illnesses associated with anorexia, binge-eating or bulimia, it’s important to find a program that resonates with you. There are several other factors to consider when seeking treatment, which we’ll look at below. Although drug and alcohol addiction and other mental health disorders often share the same treatment approach, it’s important to find a treatment facility that specializes in eating disorder treatment. This seems obvious, but some treatment centers will say they treat eating disorders when you may actually be a better fit elsewhere. Because unlike drugs or alcohol, which you can abstain from, you need to eat. Your recovery looks different and you need support in that, rather than being one of the few who struggle with eating disorders at a particular center (though this applies less so to treatment providers who only take a few clients at a time). Nutrition is an important intervention in eating disorder treatment. According to the American Dietetic Association, “Medical Nutrition Therapy provided by a registered dietitian trained in the area of eating disorders plays a significant role in the treatment and management of eating disorders.” Accredited dieticians can assess your nutritional deficiencies, create a customized meal plan for your stay and equip you with maintenance skills like grocery shopping, cooking and meal planning for a successful recovery. 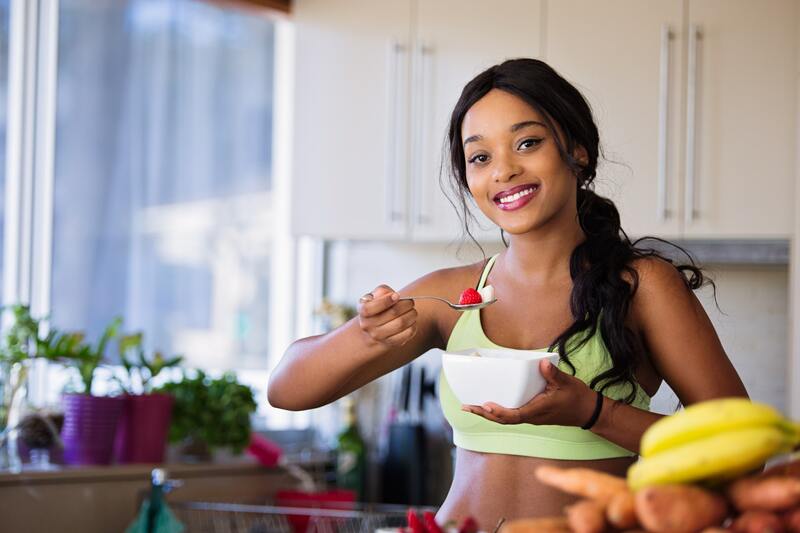 Beyond considerations for your physical health, eating disorder-specialized dietitians also understand the roles of emotions, psychological conditions and family dynamics in your eating behaviors. Newer treatment methods recognize the importance of the family system in eating disorders—both as a cause and as part of the solution. And as research shows, this approach is having a positive impact on treatment. According to Thomas Insel, an American psychiatrist, neuroscientist and former director of the National Institute of Mental Health, “Outcomes appear much better if parents are empowered and included, rather than excluded, from the treatment. In fact, a carefully controlled trial evaluating the effectiveness of a family-based treatment approach found 50 percent of participants continued to experience full remission one year after the end of therapy.” Family plays a role in all mental health and addiction cases, and eating disorders are no exception. For the best chances of success, look for a center that involves family members in your treatment. Holistic therapies like yoga, reiki and sound healing help get your mind, body and spirit back in tune. Many luxury rehabs offer a wide variety of wellness modalities that encourage all-encompassing spiritual, mental and physical healing. For example, Tablusa Rasa Retreat’s holistic program options include mindfulness meditation, bodywork, breathwork, kundalini yoga, healing sound therapy and light therapy—all of which is available on an extended aftercare basis for those who choose to stay on at the resort after completing their treatment program. At many luxury treatment centers, your diet is well attended to by chefs who consult with your clinical team to create a meal plan that meets your nutritional needs and personal preferences. If food is typically a problem for you, thoughtfully planned, delicious, nourishing meals make eating healthily that much easier. DARA Rehab in Thailand ensures this by staffing trained chefs who utilize the vibrancy of Thailand’s bountiful, fresh, local produce to create excellent food for all their guests. Carefully prepared meals will help you find a healthy balance again. Most luxury care programs offer completely personalized and tailored treatment designed specifically to help guide you towards recovery. Paracelcus Recovery is an outstanding example of this, with programming fully customized to serve one client at a time. With dedicated therapists, nutritional experts, spiritual counselors, psychologists and psychiatrists on staff, you’ll have peace of mind that each of your exact needs can be met with an expert level of care. Admitting you or someone you love is suffering from a dangerous eating disorder can be one of the most important decisions you’ll ever make. But recognizing the outward signs doesn’t necessarily mean you’ll be equipped to recover on your own. Finding the right treatment facilities and care programs is an integral part of the fight against eating disorders. To learn more about available programs from top centers worldwide, discover our list of luxury rehab centers specializing in eating disorders here.